In 2019, Shirley celebrates 29 years as a Calgary REALTOR® and Jeff Mikolajow 20 years as a RE/MAX agent and Calgary REALTORS! We are two Calgary RE/MAX REALTORS®, excited about Calgary Real Estate. We are always eager to share information about single family homes, condominiums, new construction, and real estate investment property. If you're looking for your first home, an investment property, a bigger backyard or a view of the Rockies - meeting your goals is important to us! We would love to talk with you about real estate! Contact Shirley Mikolajow or Jeff Mikolajow, your RE/MAX First REALTORS®, with any questions you might have about the Calgary real estate market and how our services will help you find your perfect Calgary home. RE/MAX First is Canada's first RE/MAX office, started in 1977. 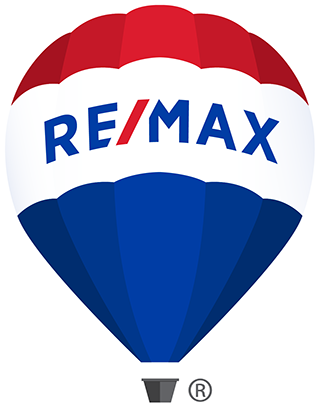 The RE/MAX Balloon Logo is one of the most recognizable business logos in the world and we are proud to feature it in our marketing and advertising. Easily accessible, RE/MAX First is located at Suite 115, 8820 Blackfoot Trail SE and has dedicated full time on-site receptionists and administrative staff to help provide professional service at your convenience. RE/MAX is Canada’s leading real estate organization with over 17,000 sales associates situated throughout its more than 677 independently-owned and operated offices across the country. The RE/MAX franchise network, now in its 37th year, is a global real estate system operating in more than 70 countries. Over 6,700 independently-owned offices engage nearly 100,000 member sales associates who lead the industry in professional designations, experience and production while providing real estate services in residential, commercial, referral, and asset management. RE/MAX Associates have always been among the leaders in their communities, devoting time and dollars to countless charities and local causes. Committed to their own personal charities, RE/MAX Associates and offices contribute tens of millions of dollars annually to their respective communities including Children's Miracle Network, Canadian Organ Donation Awareness and Quest for Excellence.